Aman Sehgal, an experienced insolvency lawyer, has joined our banking and restructuring team. He brings with him more than 10 years’ experience in corporate and personal insolvency, having worked on many high profile insolvency investigations. Aman previously advised Insolvency Practitioners on a range of complex public interest litigation cases and is now bringing his specialist expertise to us and our clients. He will further strengthen our restructuring capability and his focus is to build up the contentious work of the insolvency practice. Our down to earth, customer service led approach were the driving factors behind Aman choosing to work here. He said: “I can identify with Muckle. 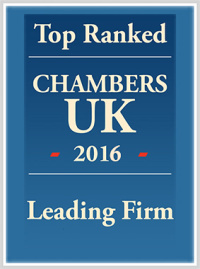 It stands out from other law firms for having good values, a strong sense of community and a friendly culture. I met Jason Wainwright, our managing partner, at an event last year and it was refreshing to meet a senior partner who had such a dynamic vision for what he was trying to build at his firm. Aman lives with his wife and five-year-old twins in Ponteland, Northumberland. He graduated from Northumbria University’s LPC course in 2002 and has progressed his career within the region over the last 14 years. Andrew Cawkwell, Partner in the Banking and Restructuring team, said: “Aman has exactly the right values and approach that is well suited to Muckle and we’re delighted to welcome him to the team. To find out how we can help your business please contact Aman Sehgal.